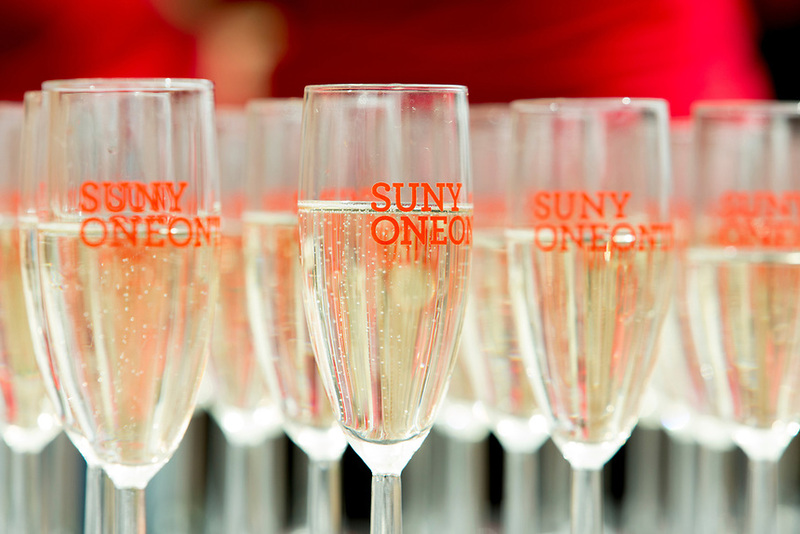 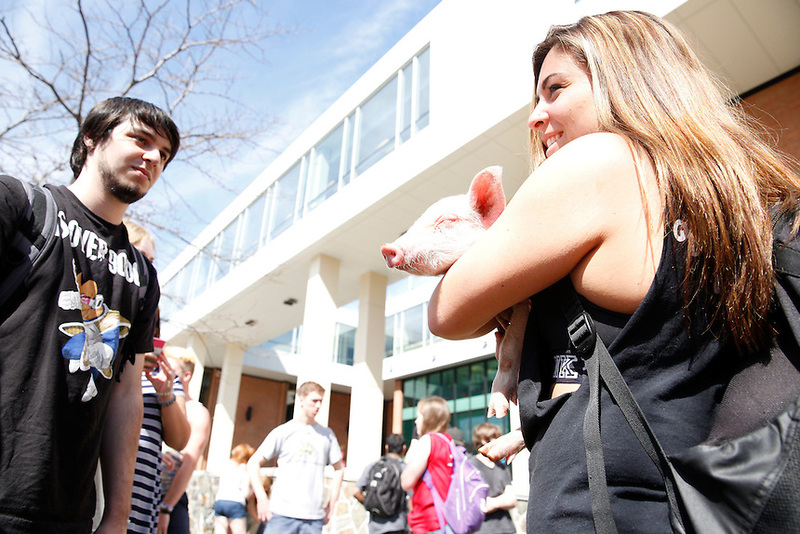 SUNY Oneonta has a rich history of tradition. 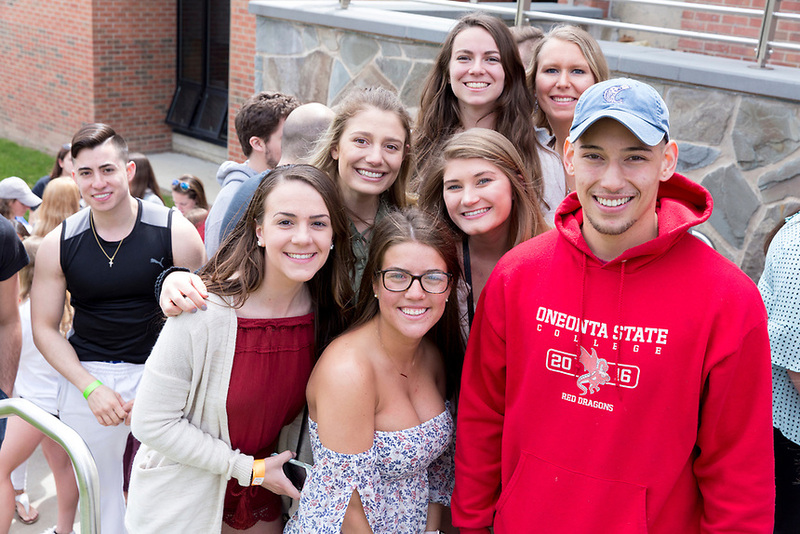 Students tell us they feel like they’re part of a family at Oneonta, and part of that comes from the fun we have together. 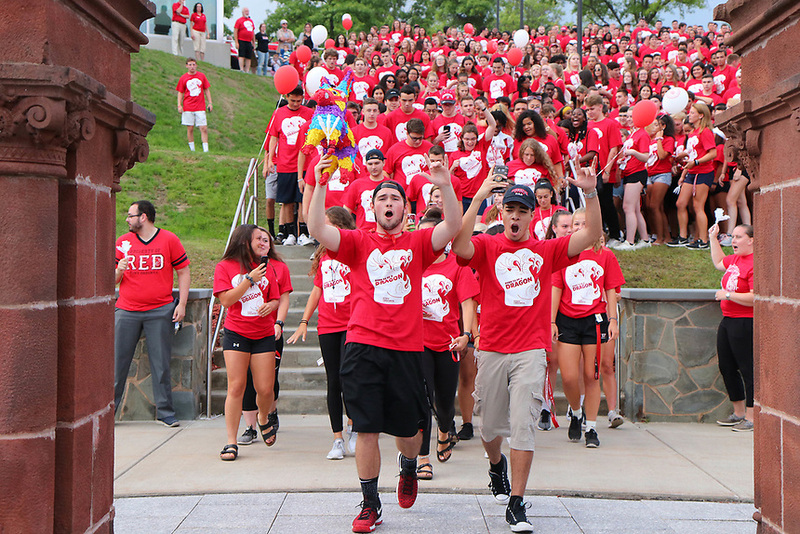 Pass Through the Pillars, Red Day and OH Fest are three of the most beloved, fun traditions here at SUNY Oneonta. 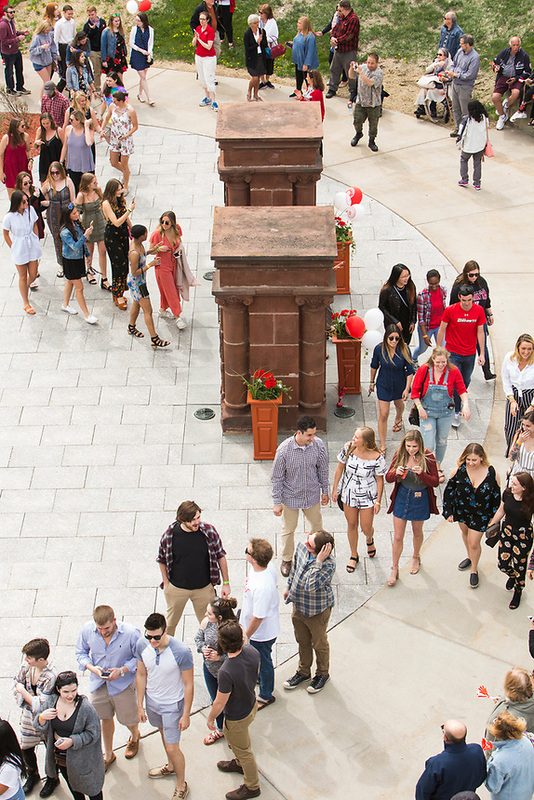 Every fall and winter on the day before the semester begins, new students cross through the two remaining pillars of Old Main, the college’s original building. 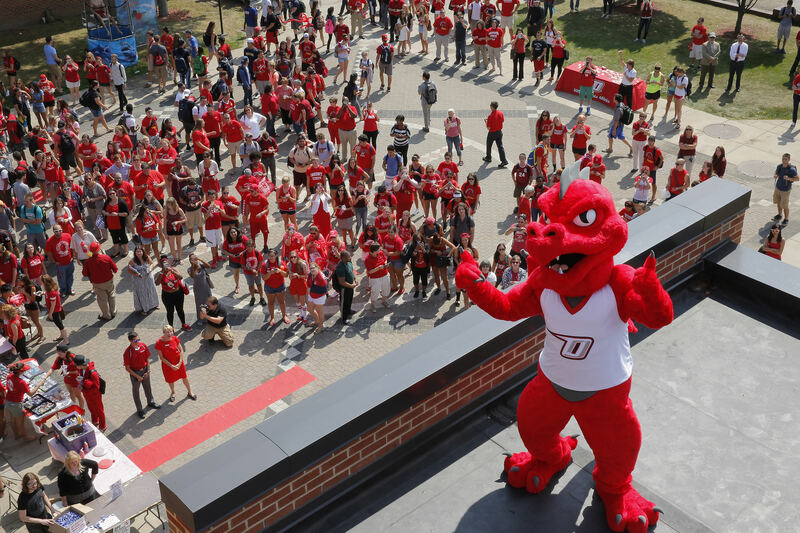 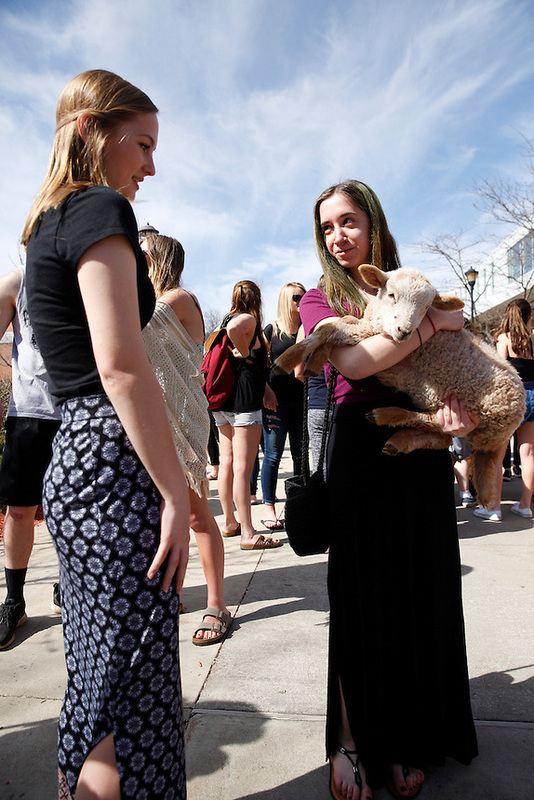 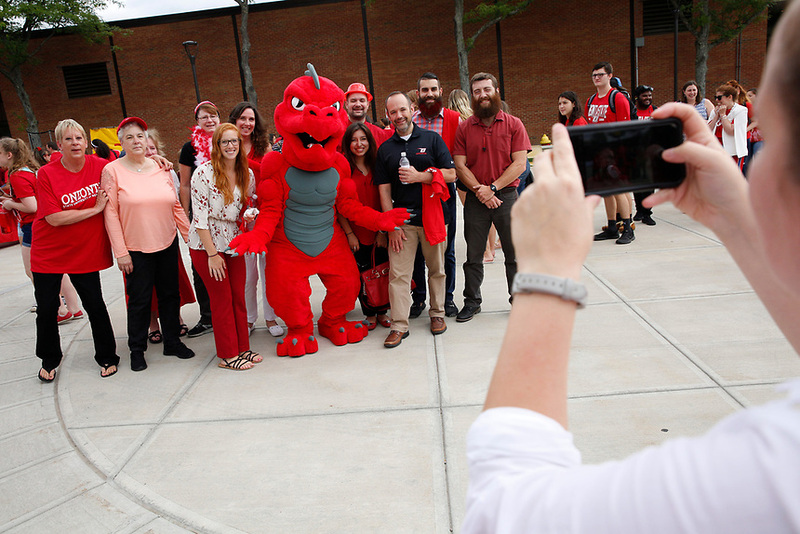 With students, faculty, staff and Red the dragon cheering them on, freshmen and new transfers literally follow in the footsteps of their predecessors as they walk between the pillars that have welcomed students for years. 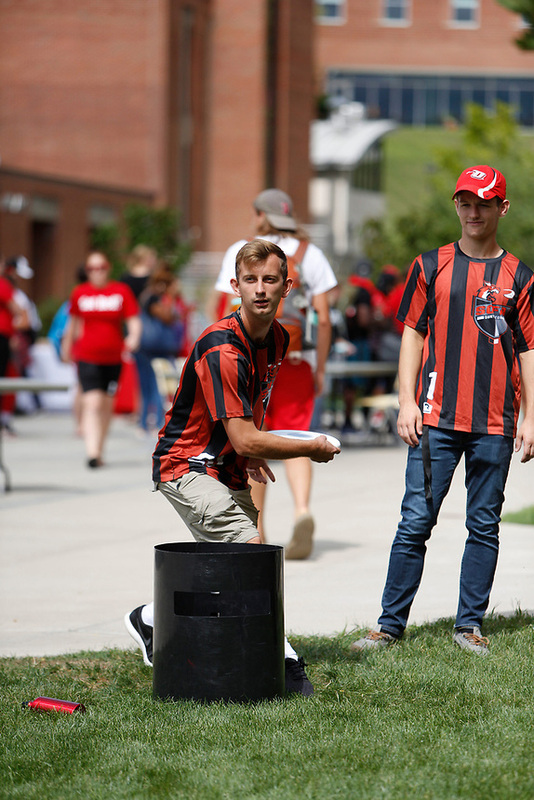 The fall celebration ends with carnival games and an ice cream social on the quad. 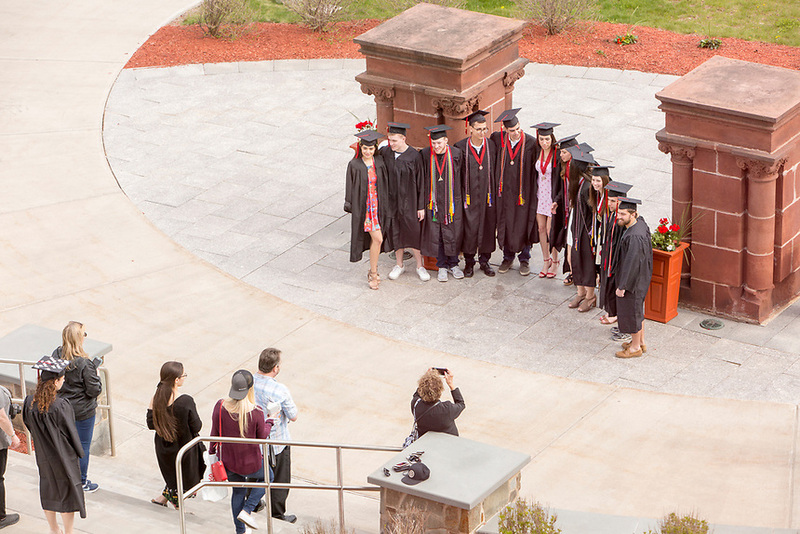 The pillars are the only remaining pieces of Old Main, which was the first major building on the SUNY Oneonta campus. 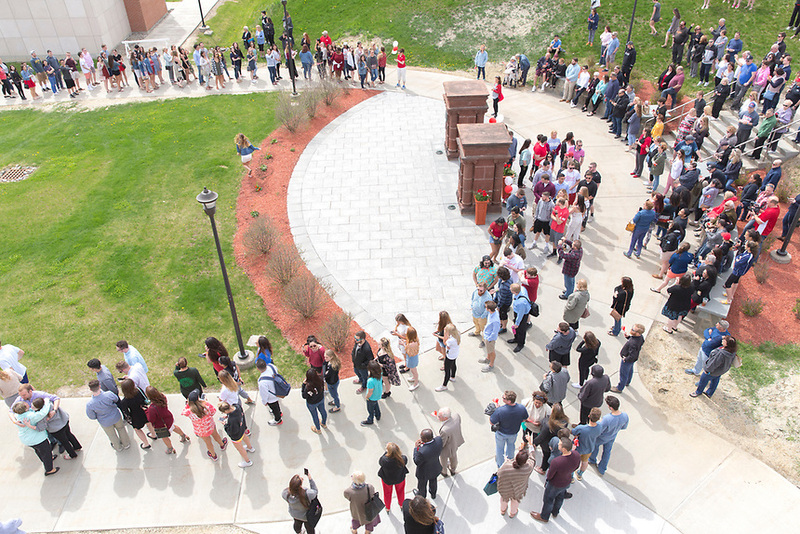 After significant deterioration, Old Main was razed in 1977. 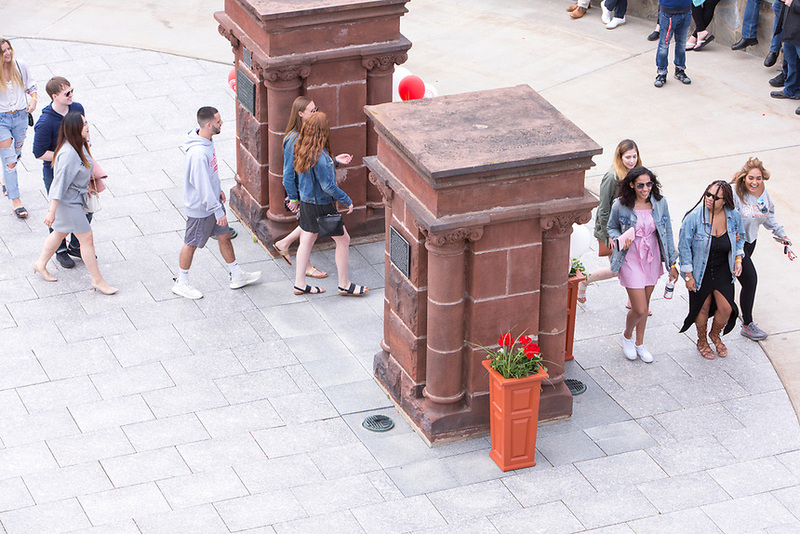 The Class of 2008 raised funds to restore the pillars, which were erected on the new campus in 1980 and are proudly displayed on the Upper Quad. 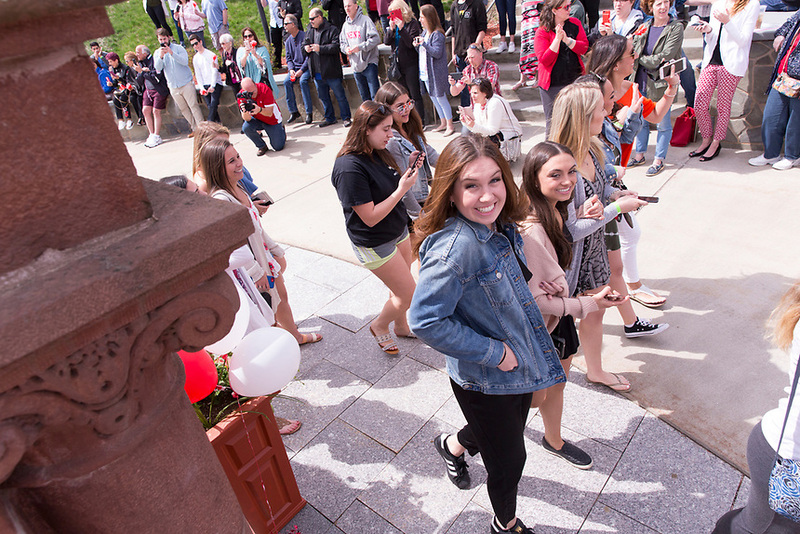 On the day before graduation, seniors walk through the pillars in the opposite direction, signifying their leaving the college community and entering the next phase of their lives. 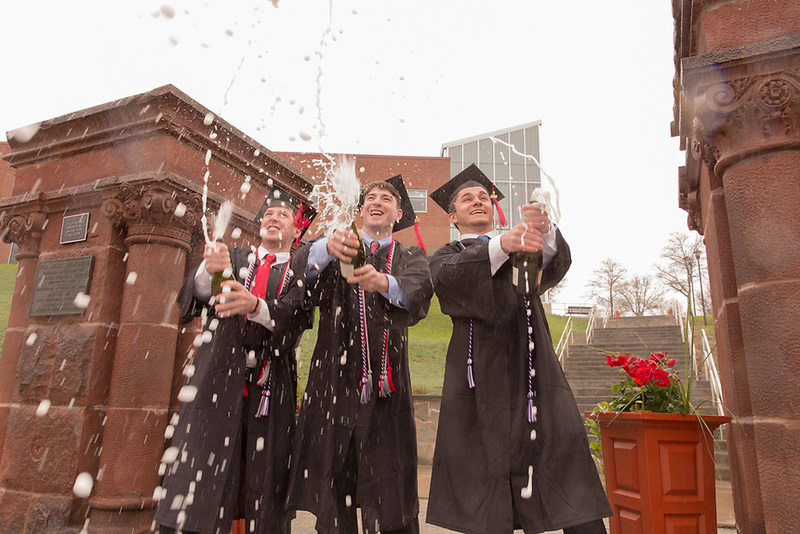 The class president leads the graduates in a champagne toast. 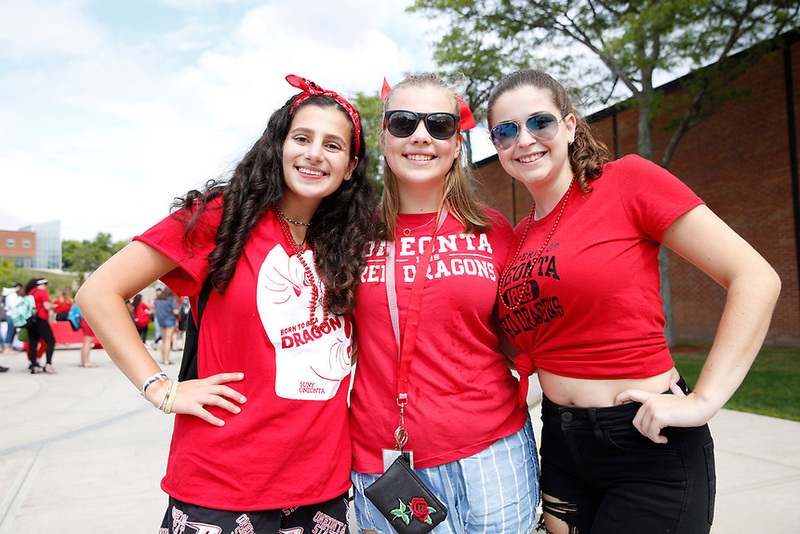 “Everyone's cheering for you, and then as an upperclassman you go and cheer on the freshmen,” said Jolie Widawsky, Class of 2019. 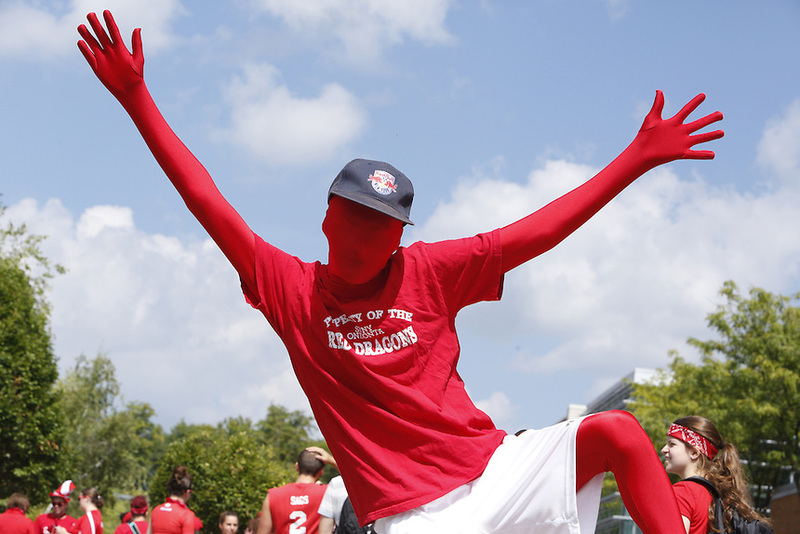 “It's a really fun experience because everyone is genuinely happy and proud of everyone who's coming through the school." 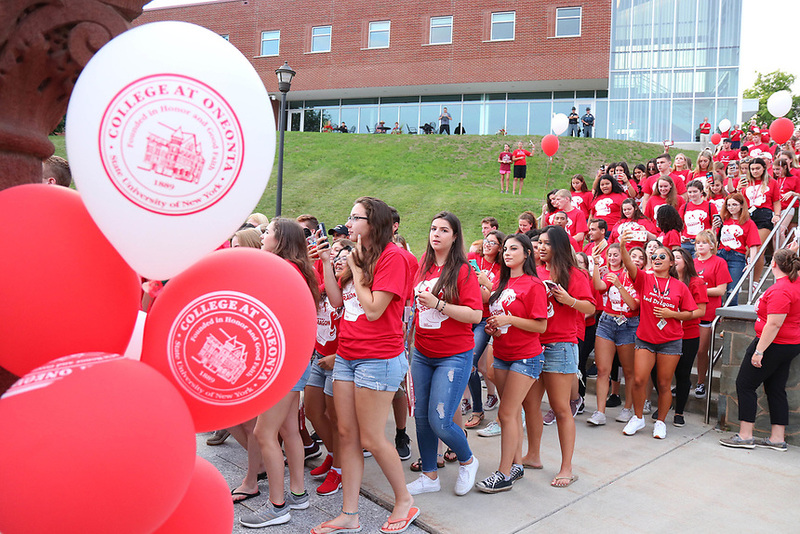 Each year, we commemorate the founding of the college in 1889 by celebrating Red Day on the first Friday of September. 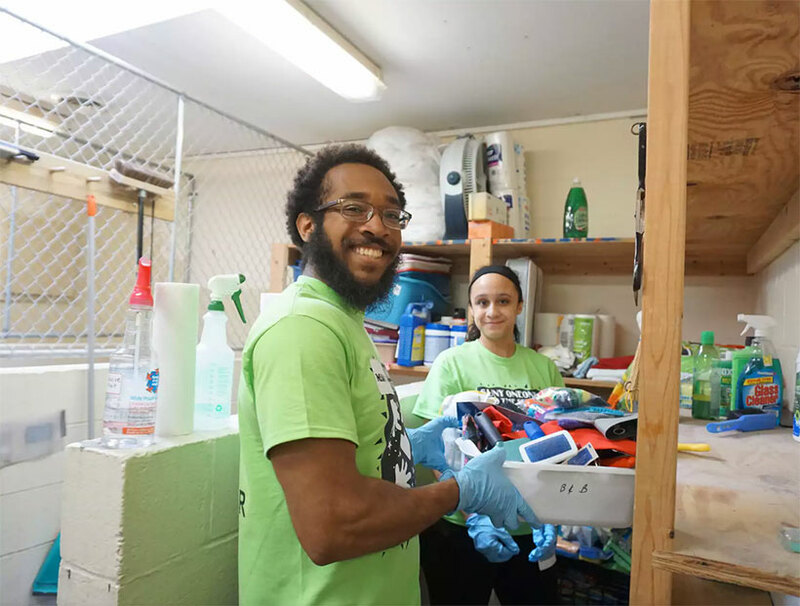 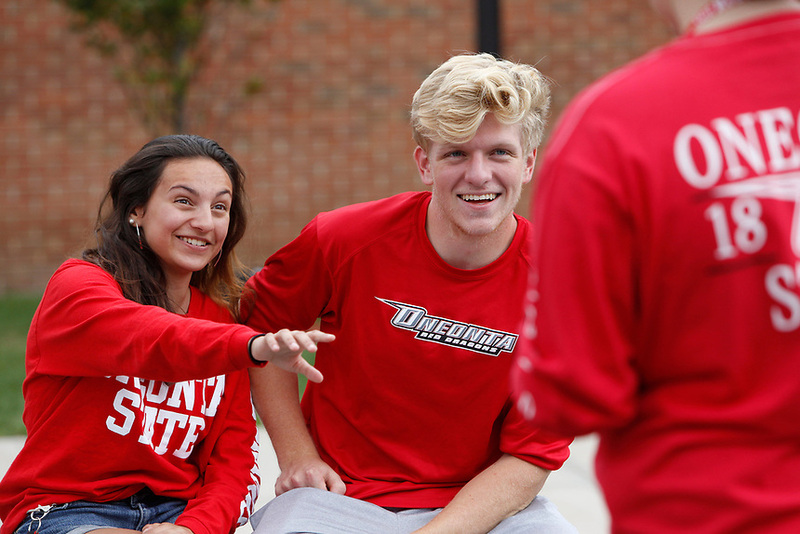 Students, faculty and staff share their school spirit by donning red shirts, pants, dresses, hats, sneakers, jewelry, and even dying their hair or beards. 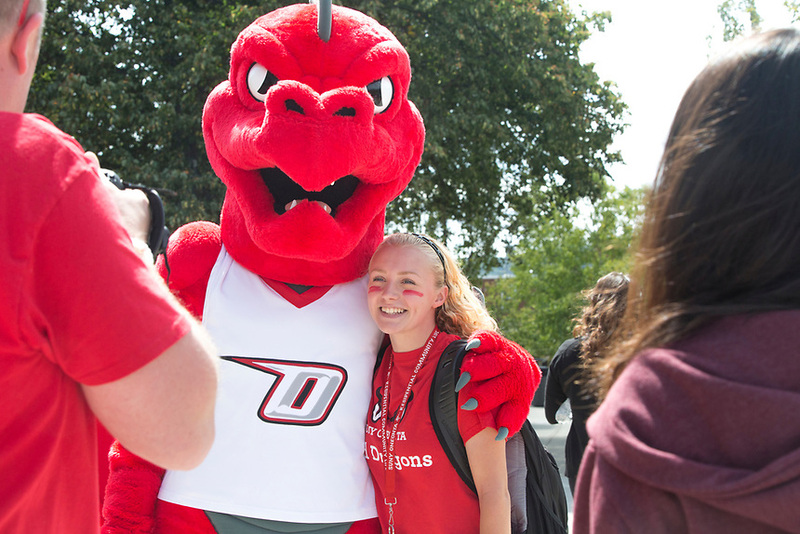 Everyone gathers on the quad for a birthday cake cutting and photos with our mascot, Red the Dragon. 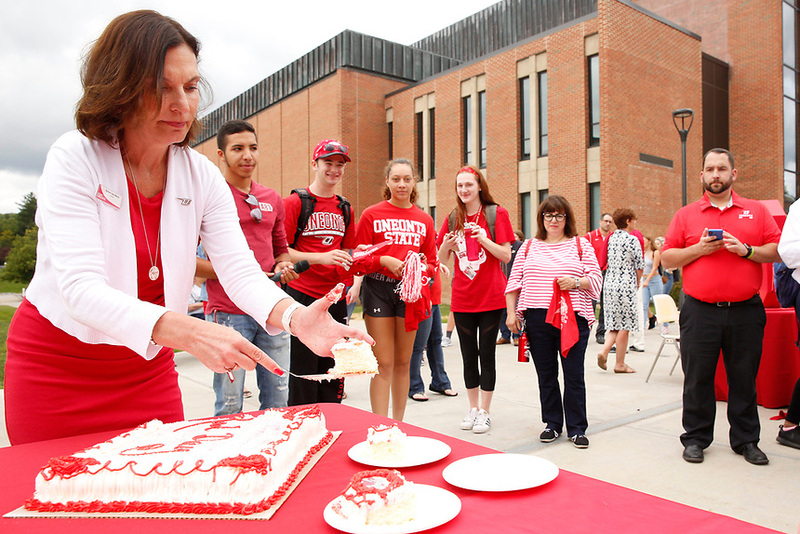 The Student Association hosts games, activities, giveaways and prizes for wearing the most red. 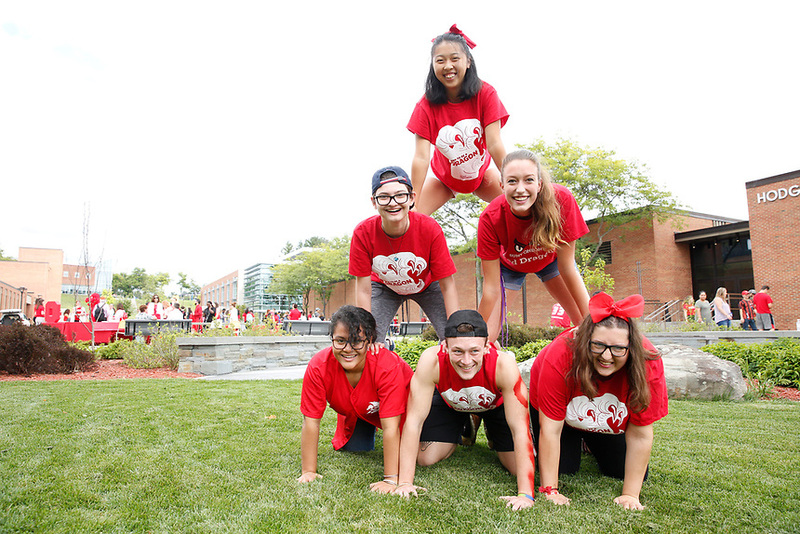 Alumni join in the fun by wearing red and sharing photos on social media. 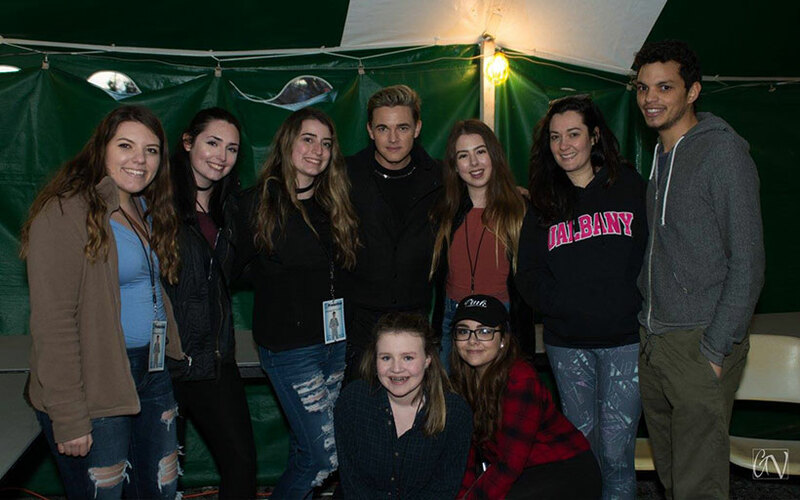 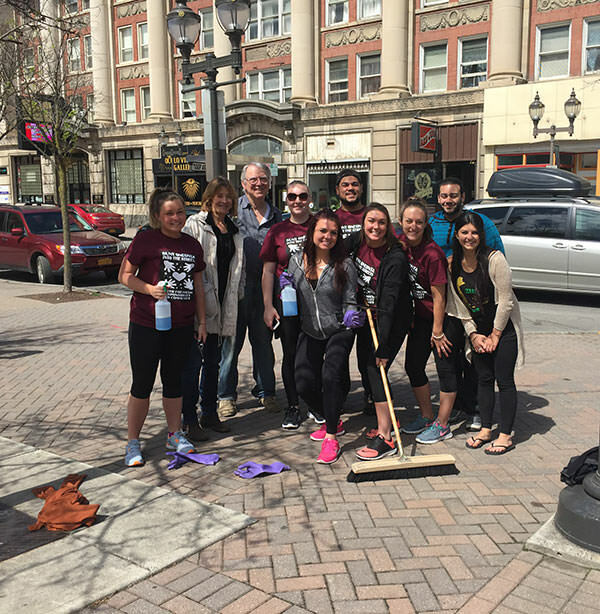 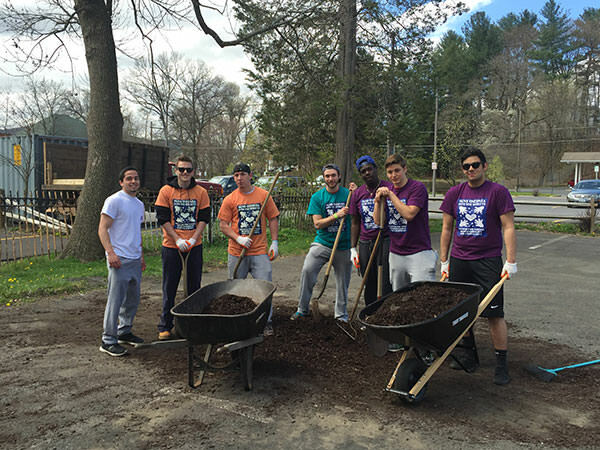 OH Fest is an annual April celebration co-funded by SUNY Oneonta and Hartwick College that brings together college students and the community. 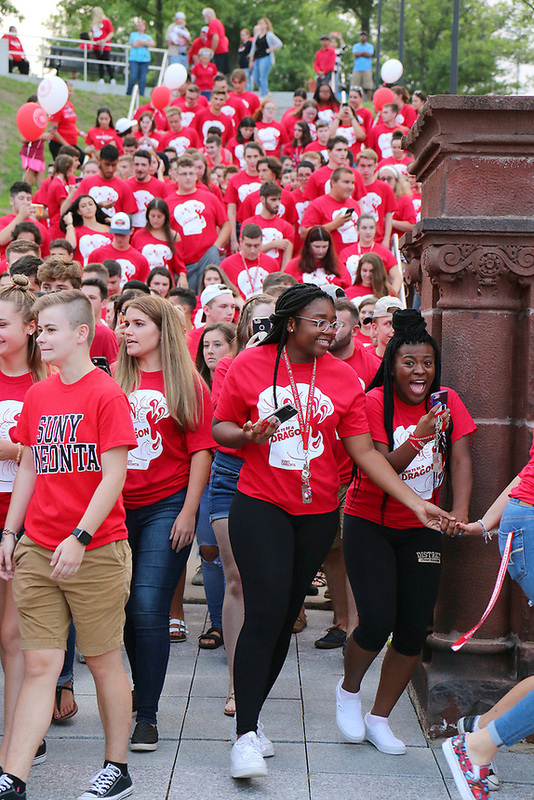 The event attracts thousands of people to Oneonta including hundreds of alumni. 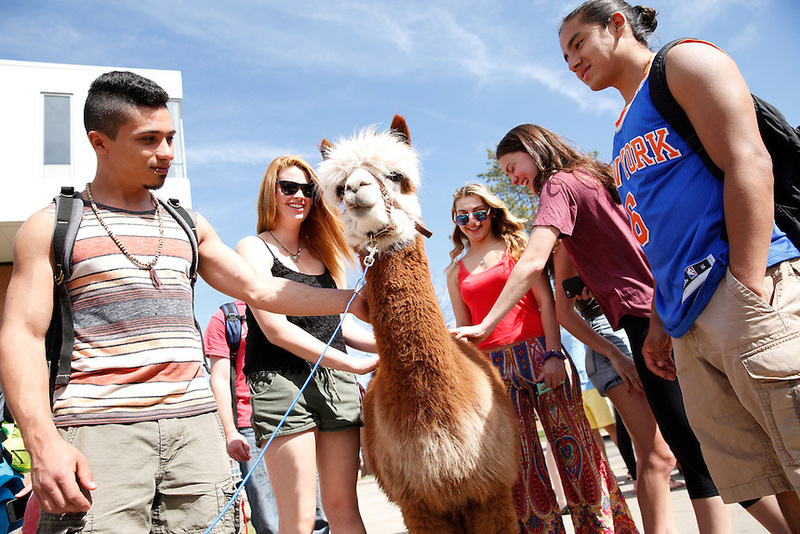 During the day, Main Street is closed to traffic and turns into a street fair, with arts and craft vendors, carnival food, sidewalk sales, games, music and inflatable activities. 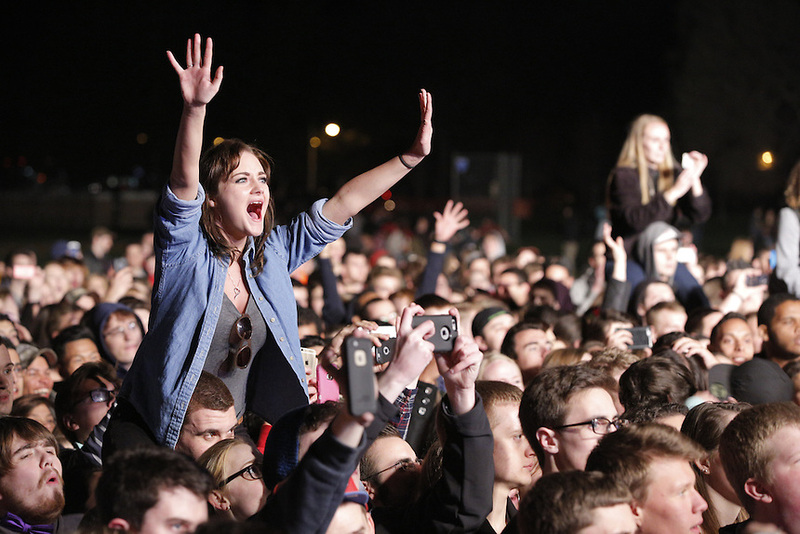 The main event is a free nighttime concert at Neahwa Park, which students plan and organize. 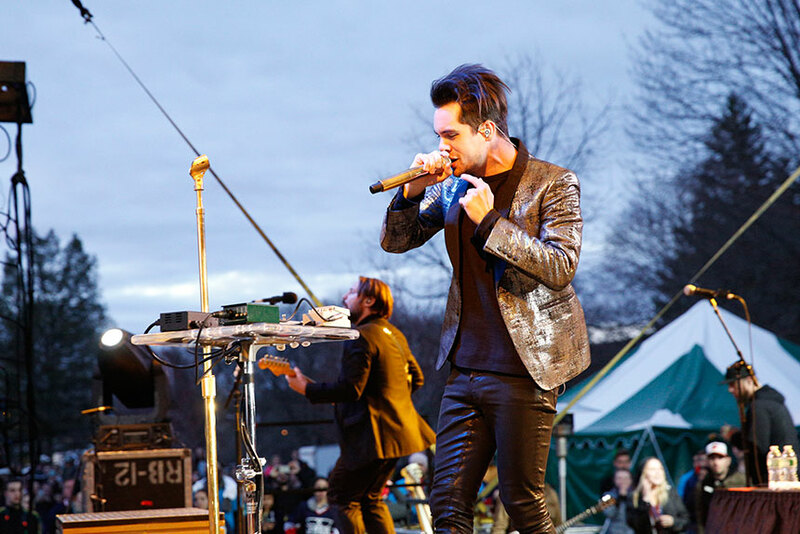 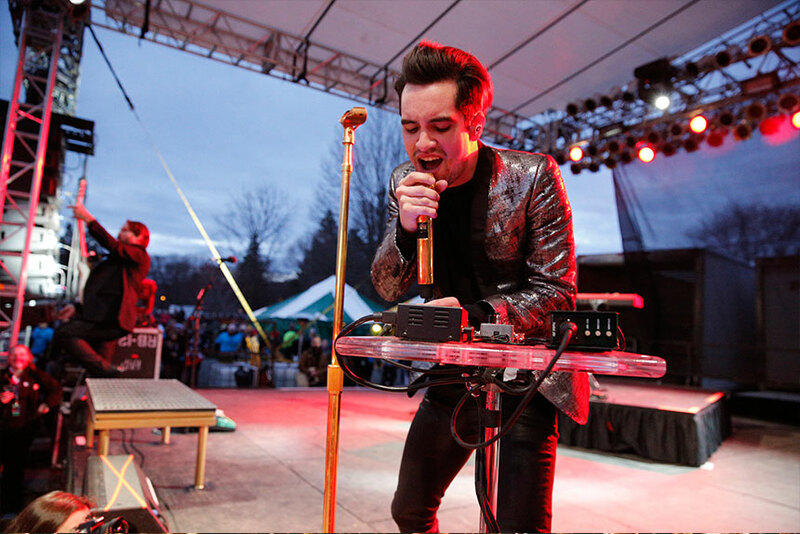 Past OH Fest performers have included Pitbull, Panic! 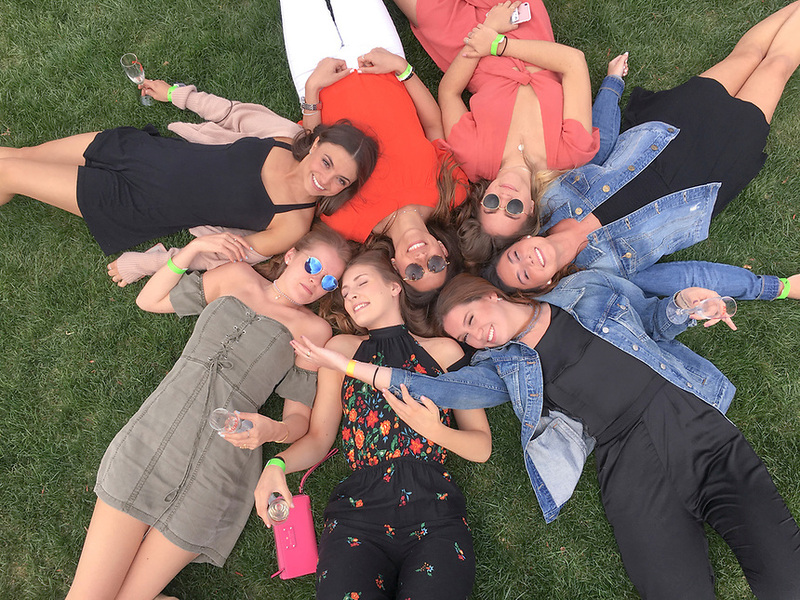 At the Disco, Mac Miller, Girl Talk, Jesse McCartney, Jack’s Mannequin, Blues Traveler and Robert Randolph and the Family Band. 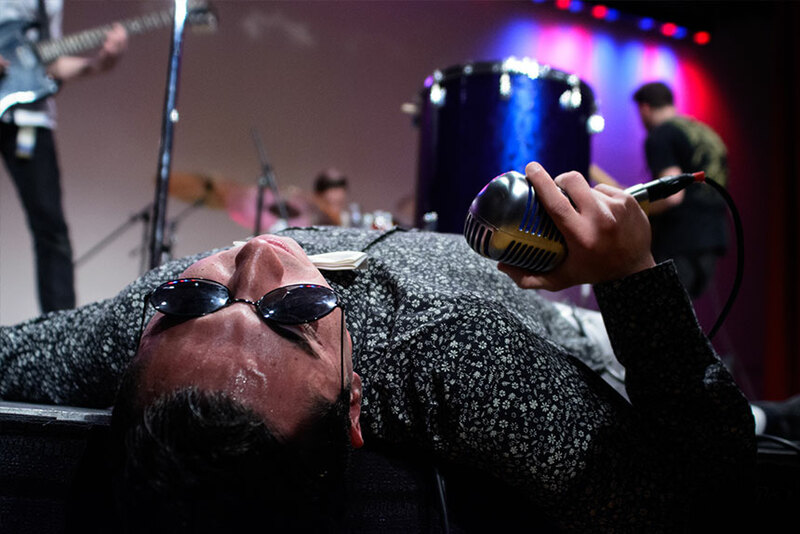 As part of the tradition, student musicians compete in a Battle of the Bands for the chance to open the show. 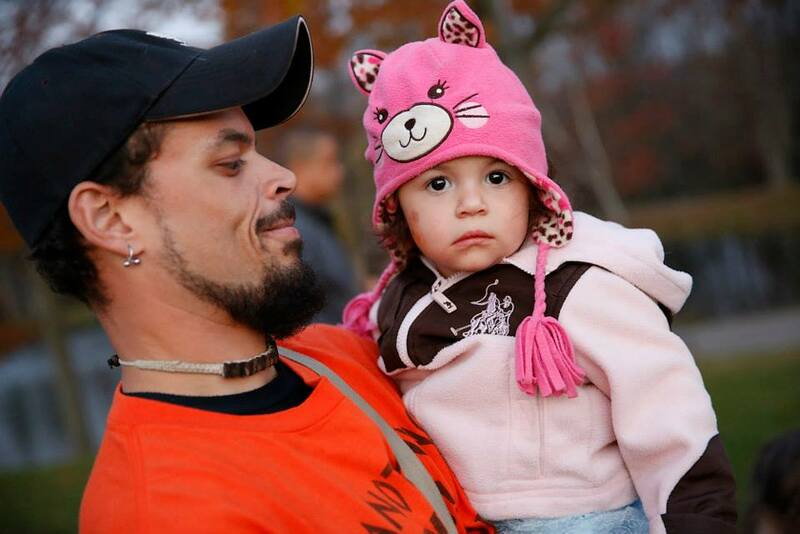 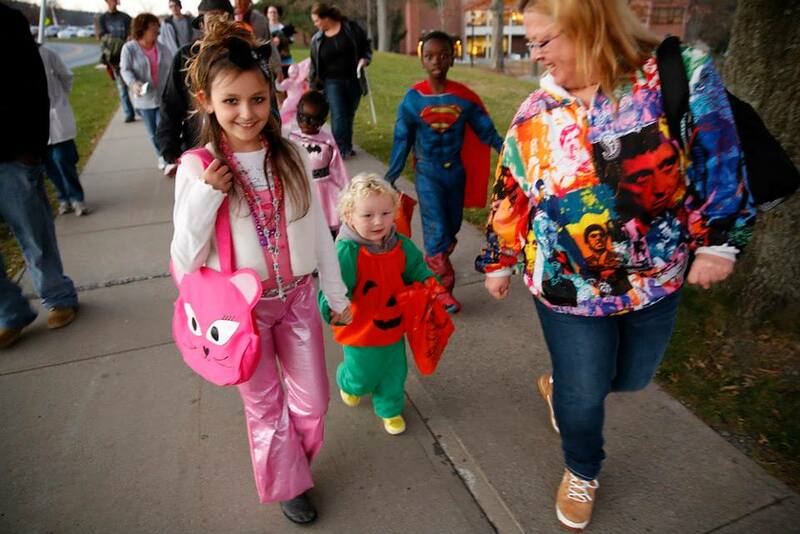 Every October, children from the Oneonta area come to campus for back-to-back Halloween events. 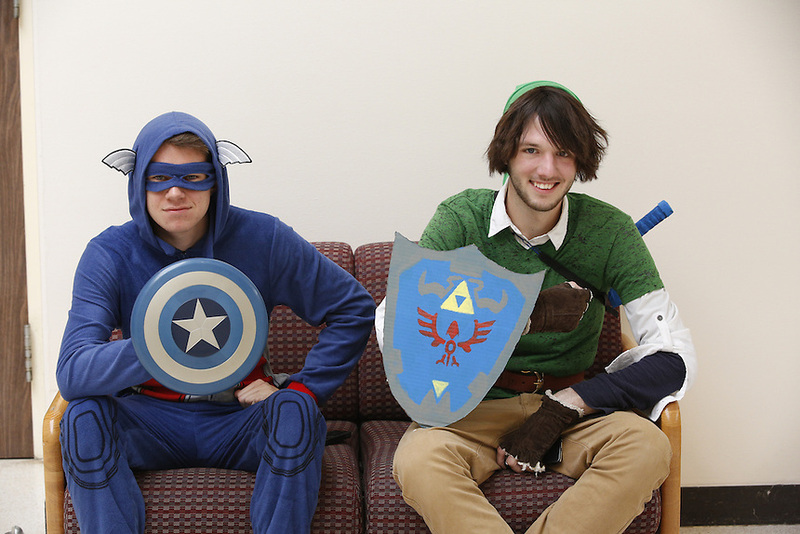 The Order of Omega, an honor society for sorority and fraternity members, hosts a Halloween carnival. 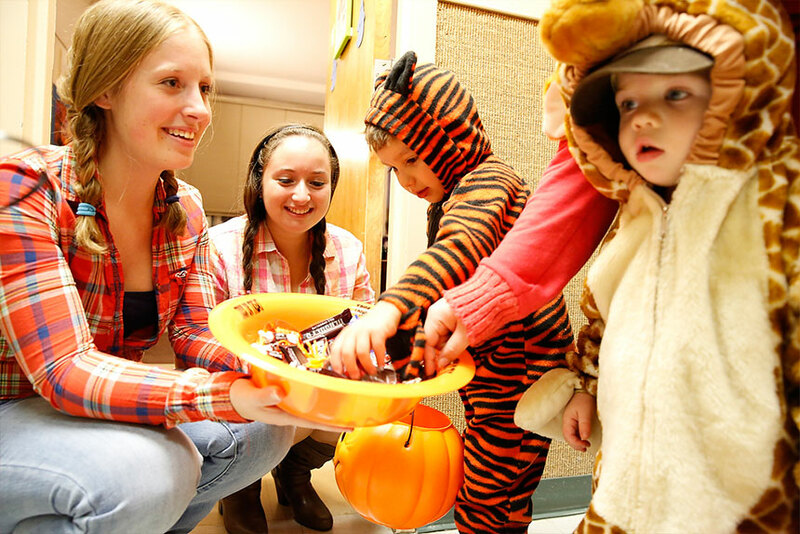 Afterward, student volunteers guide children and their families on trick-or-treat routes to several of the residence halls. 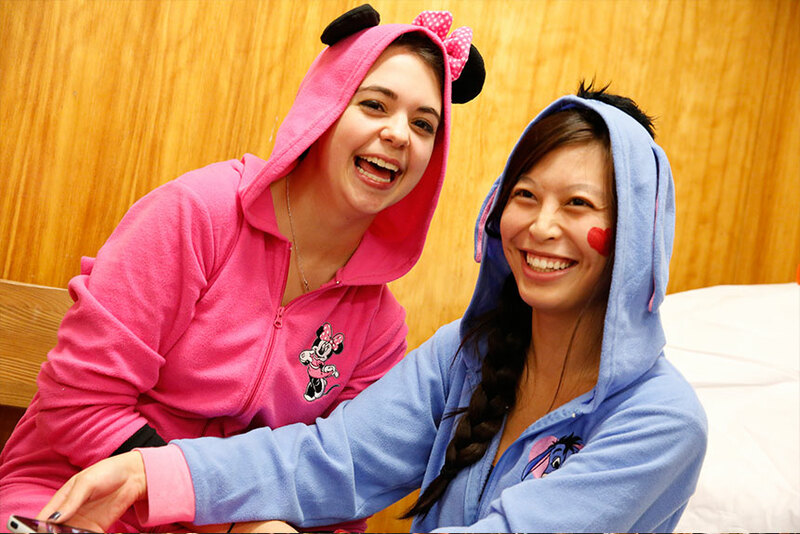 Students join in the fun by dressing up, decorating the halls, and providing Halloween-themed games and activities for the children. 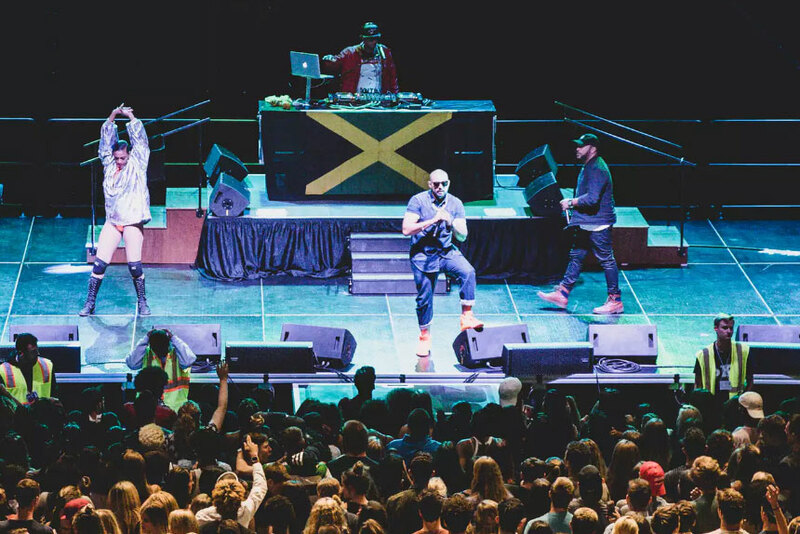 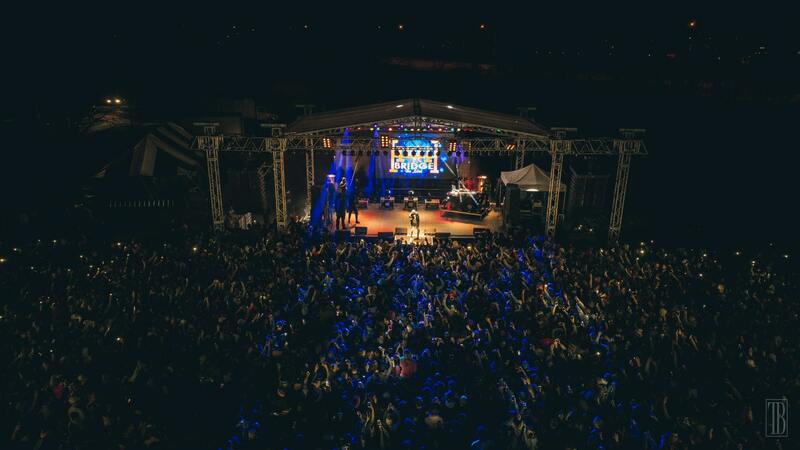 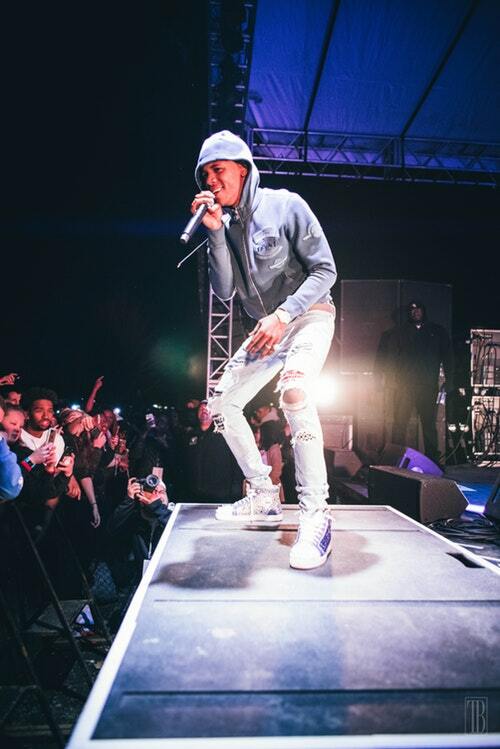 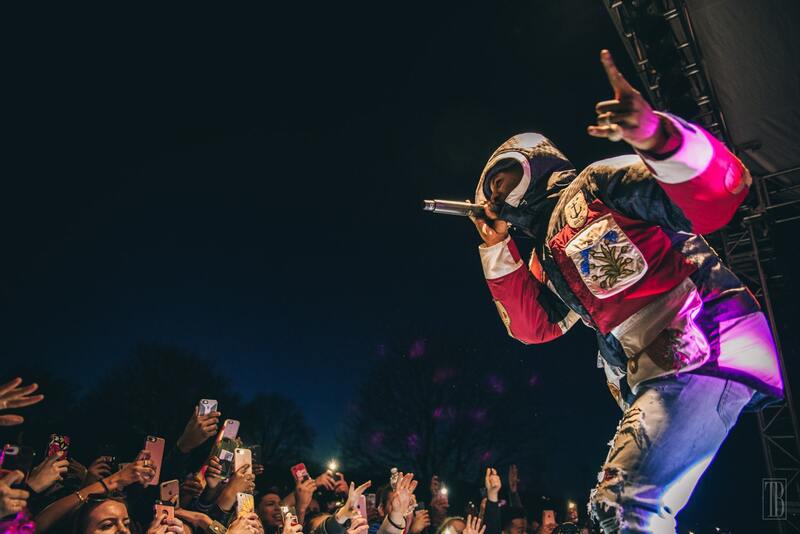 Each fall during the first week of classes, the College Activities Council brings a nationally known artist to campus for the Fall Concert, which also features a student opener. 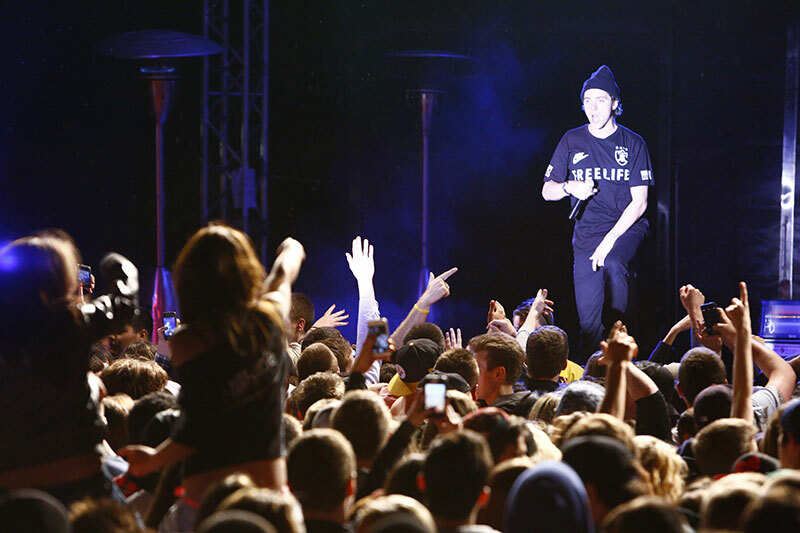 Past headliners have included Big Sean, Time Flies, Gym Class Heroes, Sean Paul and Childish Gambino. 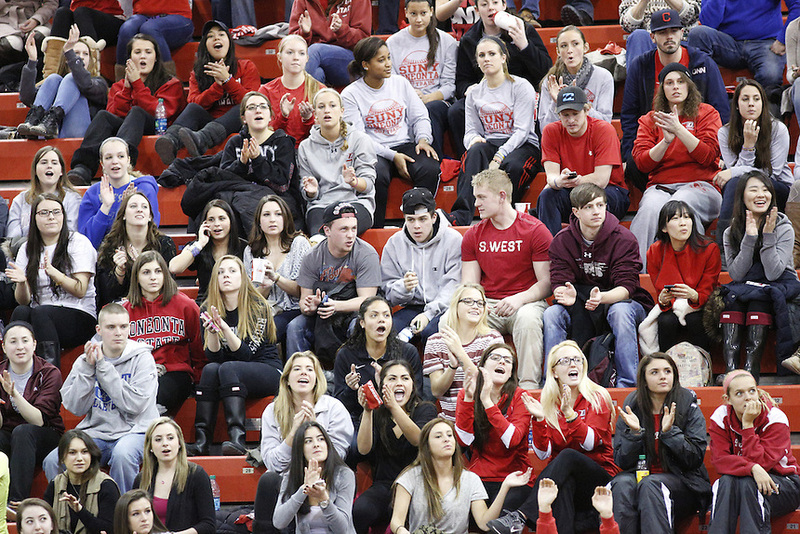 The longstanding rivalry between SUNY Oneonta and SUNY Cortland heats up every winter with the annual Battle of the Red Dragons men’s and women’s basketball games on both campuses. 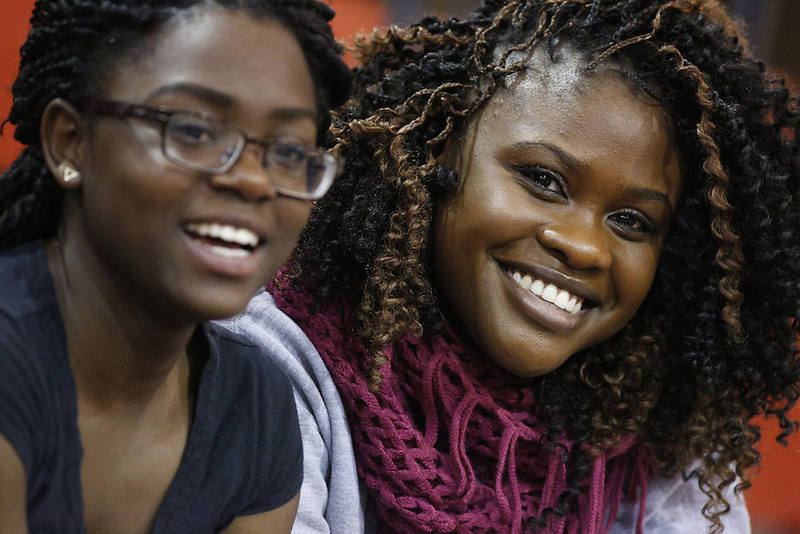 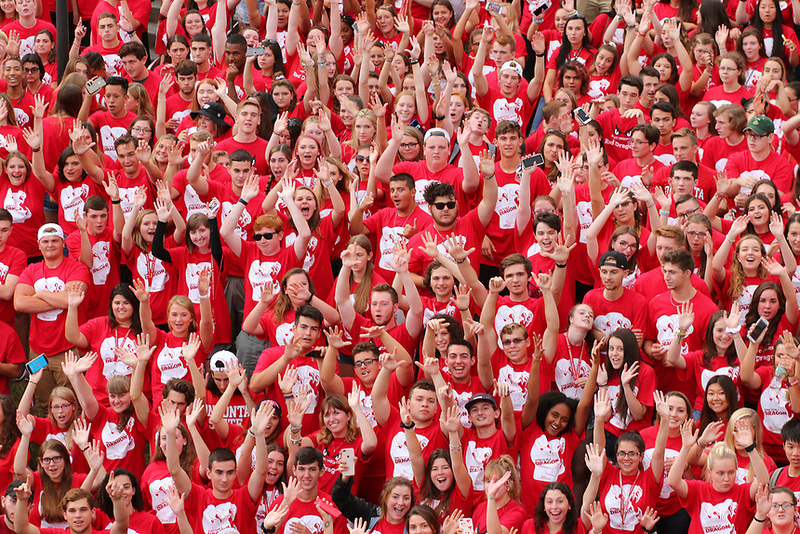 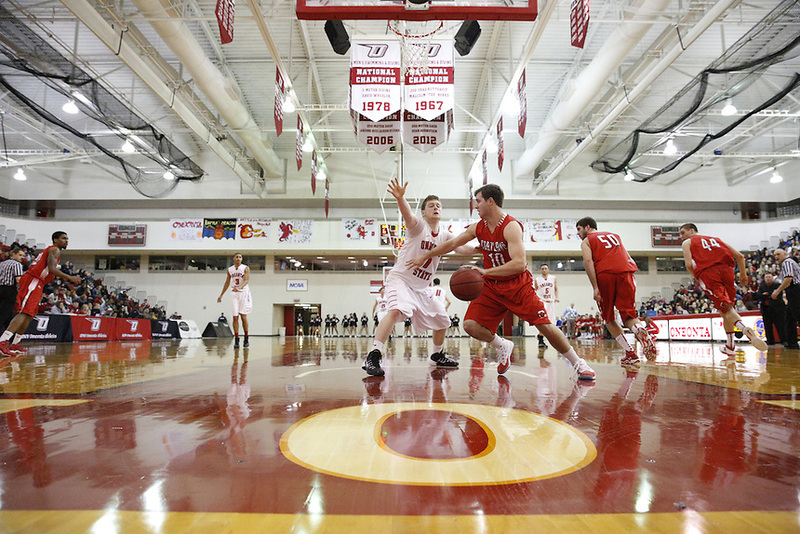 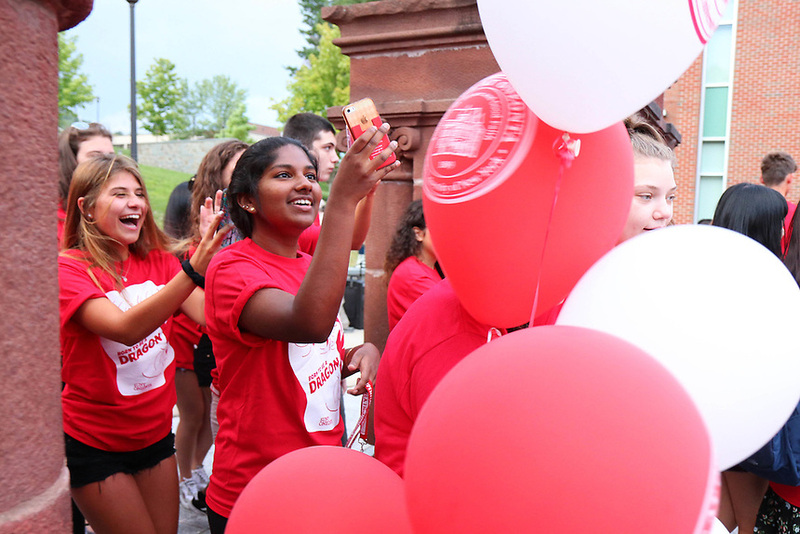 During the Oneonta games, there are giveaways, entertainment and plenty of school spirit! 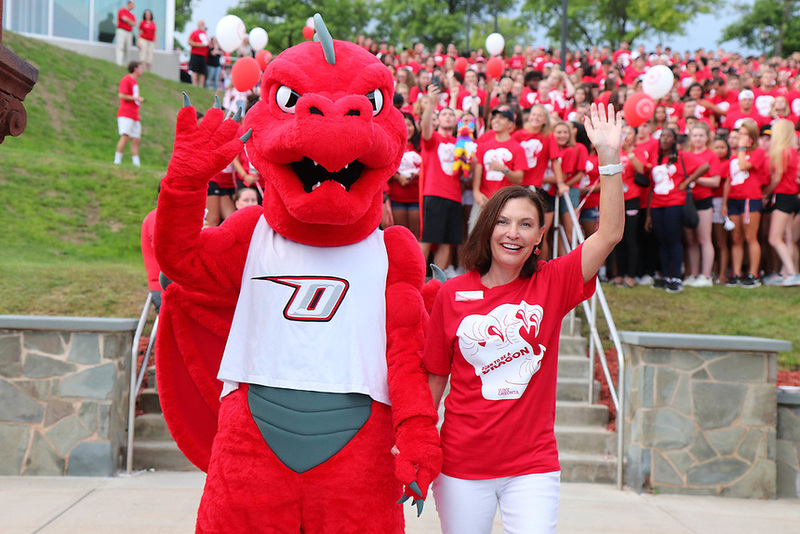 Spirit banners created by teams of students from residence halls and athletics teams are hung from the track, and student groups such as the Oneonta Dance Team, Kickline, Drag’n Rolls Drumline and cheerleaders provide halftime entertainment.